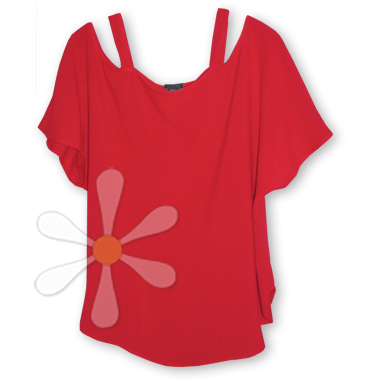 This fabulous free-flowing top is so light and fluttery you'll feel like you have wings! Cutout shoulders with fun little straps and a unique curved bottom the TanTan is in breathable susti, so the perfect layer for all seasons. The unique design works for evening or play, and just any time you need to feel a little more special. Let your inner goddess frolic every day -- live a little. Live a LOT!